A REBELLION AGAINST THE MEDIOCRE. 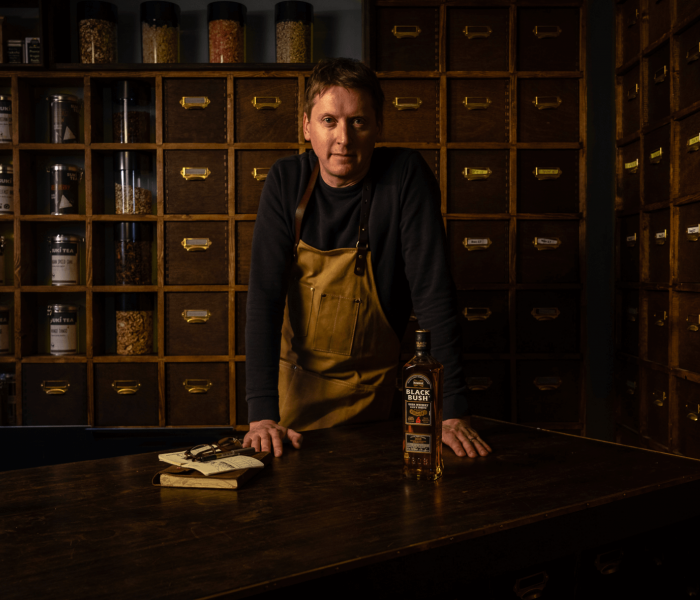 Co-founder of Suki Tea, Oscar will join Bushmills to host a series of whiskey and tea blending masterclass events across Ireland in April and May 2019. 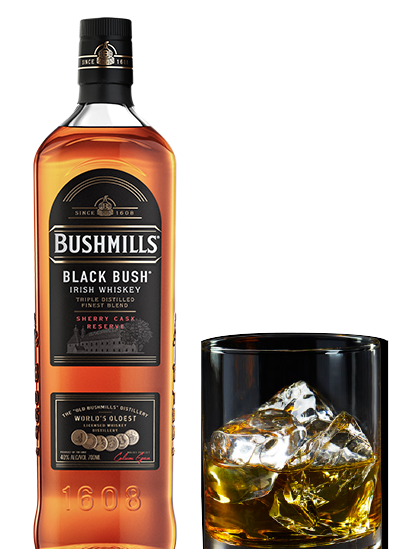 The collaboration also introduces a limited edition, Black Bush inspired, loose leaf tea designed by Oscar - Black Bush Blend. TURNING A FLICKERING DREAM INTO A BLAZING CAREER. Michael is the creative force behind the Bearded Candle Makers. 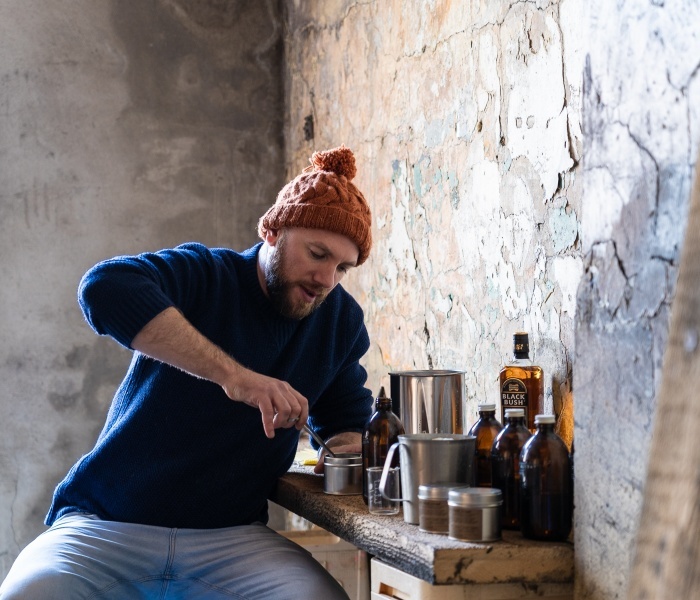 The chandler collaborated with Bushmills Irish Whiskey in 2018 to create a limited edition winter candle and to host a series of hands-on candle making workshops. A NEW PATH FOR AN OLD CRAFT. Leatherworker Jason has a simple goal, to create long-lasting leather products amid an increasingly throwaway culture. 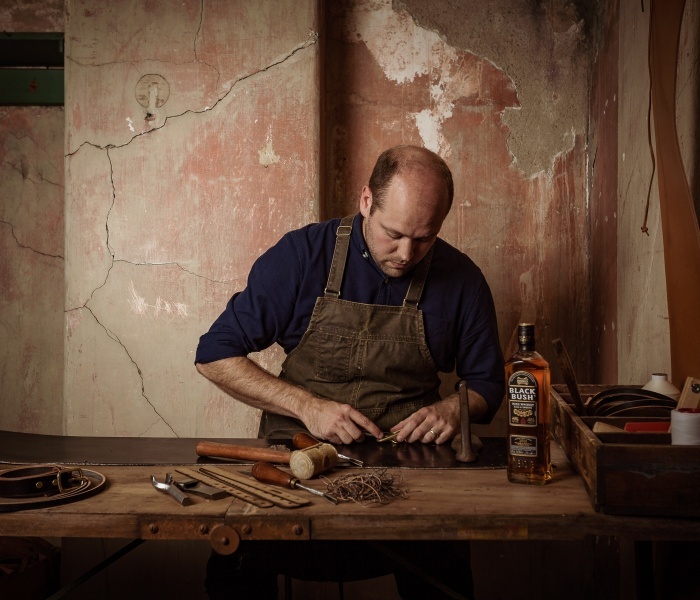 He created a limited edition Bushmills Irish Whiskey hip flask and hosted a number of interactive leather making workshops across Ireland. Rob is a charcuterie master and one of Ireland’s top trending chefs, having recently opened his own restaurant. 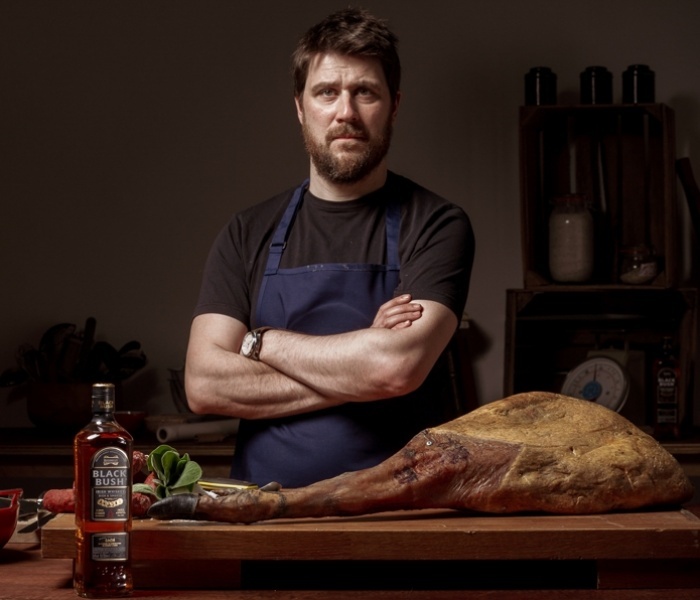 A collaboration with Bushmills Irish Whiskey saw him host a series of meat curing masterclasses in the country’s leading venues. Freddy is one of Dublin’s most talked about Instagram photographers, capturing visual stories from around his city. 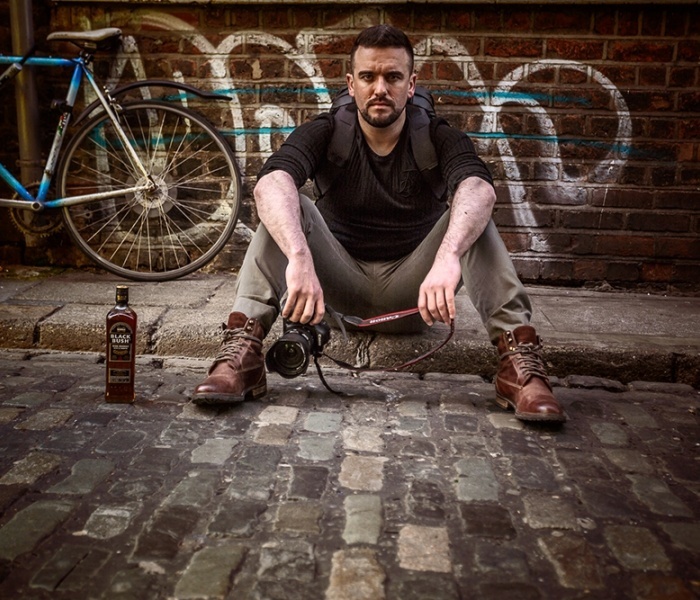 He collaborated with Bushmills Irish Whiskey to host an interactive event where attendees were taught about the world of street photography. A LIFE-CHANGING MOMENT THAT LED TO A PASSION BEING CAPTURED. Former art teacher Ronan threw himself into a career in photography following a serious car accident, which pushed him to pursue his passion. 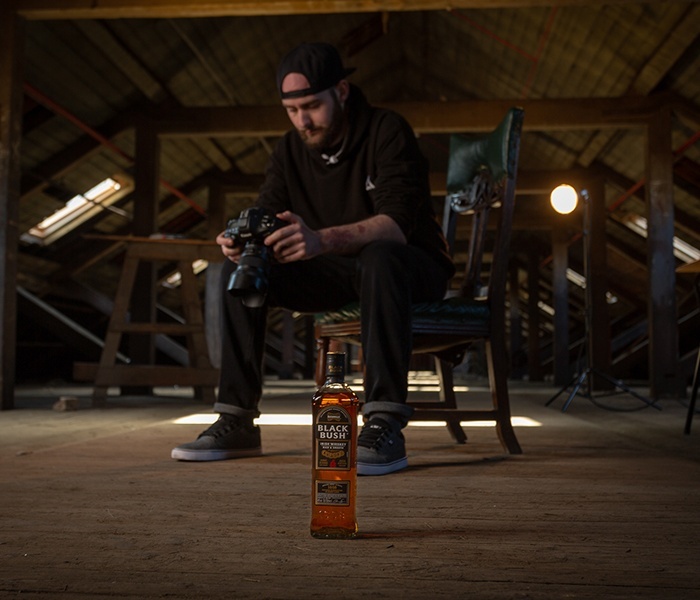 Black Bush and Photography, a mobile photography workshop in collaboration with Bushmills Irish Whiskey, saw his sharing his best photography tips.